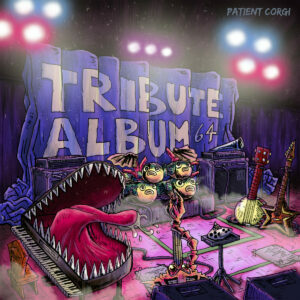 This epic 87-track album is available NOW through Patient Corgi featuring over 200 musicians from around the world! We’re so happy to be a part of it. The album is available for FREE download at their bandcamp. Be sure to check out our track “American Dream Chaser” as well as the many other tracks including covers by our friends missingNo., The Koopa Troop, Kirby’s Dream Band and more!